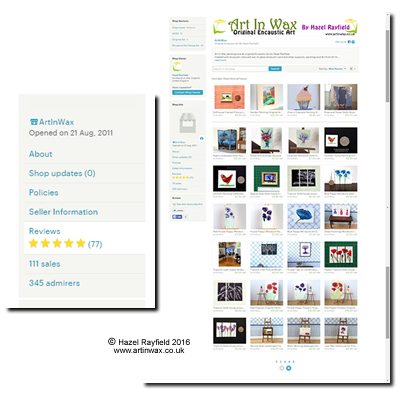 I have had a store on the retail outlet site Etsy since 2011 and it has made a few sales for me over the years and last year I decided to focus on Etsy an online outlet store for my Art, and gave up my shop on Folksy. 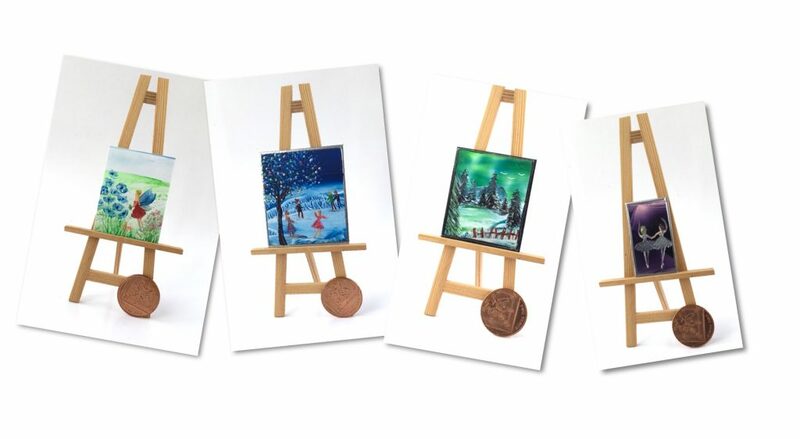 Many of my paintings are sold direct from either my website shop here on Art In Wax or to contacts online in social media such as my Facebook and Twitter streams but Etsy is where I sell more Internationally and since starting to focus more on this outlet my shop has attracted lots more attention. 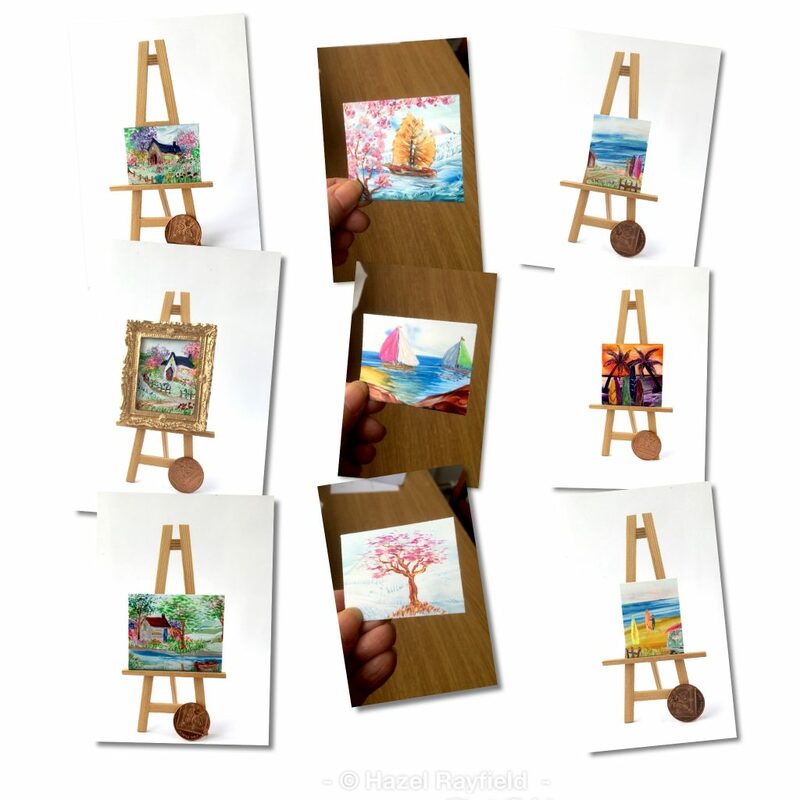 I sell all sizes on my work on Etsy from Larger mounted pieces of Wall Art to tiny miniature Dolls House Art which is proving particularly popular at the moment, with both sales and commissions coming from my Etsy store. 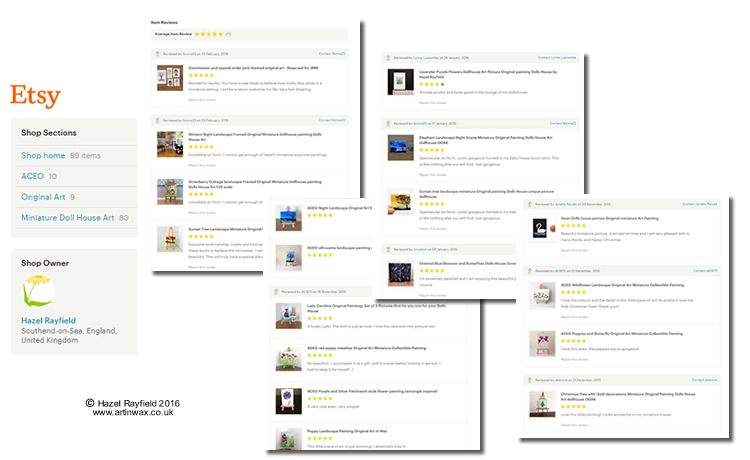 I have had some lovely reviews over the past few weeks too, they can be viewed online : Art In Wax Etsy Reviews and I thought it might be nice to share a few here ….. Wonderful results. You have to see these to believe how lovely they show in a miniature setting. I will be a return customer for life. Very fast shipping. Exquisite workmanship. Lovely and kind seller. Fast shipment. You have to see these works to believe the intricacies. I cannot imagine recreating something so beautiful. This will truly have a special place in my doll house. I love the colours and the detail in this little piece of art! So pretty! I love this aceo, the poppies are so gorgeous!